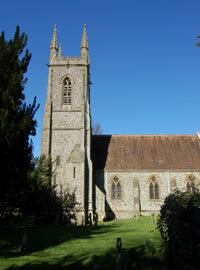 The beautiful Georgian town of Alresford is situated off the A31 between Winchester and Alton, seven miles from Winchester. This picturesque market town boasts good access to the M3 for London and the south coast, making it a popular choice for house rentals. Stockbridge means, literally, a bridge over the river. On a causeway of compressed chalk laid down in the remote past for a crossing of the River Test, Stockbridge is almost midway between Andover to the North and Romsey to the South. The river is shallow and divides here with five streams threading their way through the marshy meadows and under the main road. Alton is an historic market town situated at the head of the Northern River Wey valley, surrounded by beautiful Hampshire countryside. 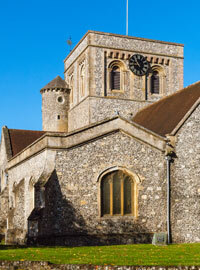 Hampshire’s friendliest market town, Alton is a delightful and welcoming place and the ideal base for exploring. The surrounding area, home to Jane Austen, is renowned for its tranquil and unspoilt beauty and the countryside properties that are available as houses to let are much in demand here. 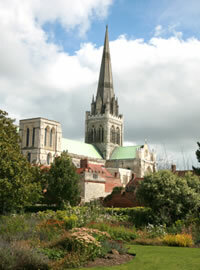 Compact and intimate with Roman walls and a medieval heart, Chichester is made for exploring. There’s history on every corner, from the Tudor Market Cross to the magnificent Cathedral; a stunning backdrop to 21st century life. There’s fun shopping with designer labels, luxury handmade chocolates and French pastries, plus stylish restaurants, pavement cafes, gastro pubs and funky bars. Countryside properties in the city of Chichester and the surrounding villages that are available as houses to let are becoming progressively sought-after. 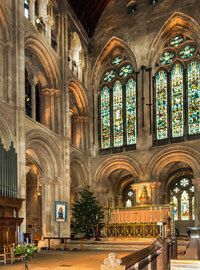 Located on the western border of Surrey, Farnham is a charming Georgian market town steeped in history. The dominant feature of the town is The Castle, a magnificent relic that has been in existence for the better part of a millennium and which still governs proceedings in the town today. 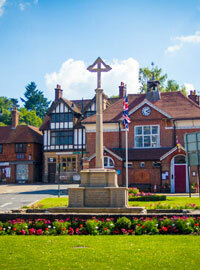 Set in an Area of Outstanding Natural Beauty, Haslemere is a historic market town that boasts dramatically old foundations. Located on the borders of Hampshire and West Sussex, the timbered and tile-hung houses and cottages of Haslemere contribute to its status as one of the treasures of the Surrey Hills. The countryside properties in Haslemere that are available as houses to let are becoming progressively sought-after in this popular town. 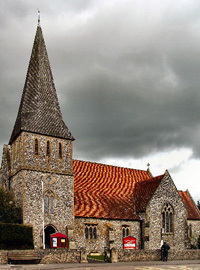 Much of the charming village of Kingsclere is a designated conservation area with 68 buildings listed as of Special, Architectural or Historical Interest. Such beautiful architecture lays testament to the fact that there has been a prosperous village on the site since medieval times. Countryside properties offered as house rentals in Kingsclere are not on the market for long. The picturesque village of Odiham and adjoining North Warnborough, with its 4,700 inhabitants, is located 45 miles west of London in the county of Hampshire. 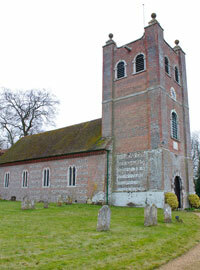 Odiham lies midway between Fleet and Basingstoke and is 1 mile south of motorway M3, junction 5. The nearest train station, Hook, is two miles away and Winchfield railway station which goes to London Waterloo is 3 miles away making Odiham a popular choice for house rentals. 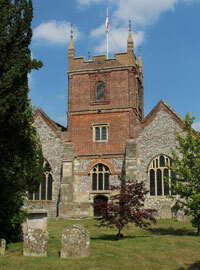 Petersfield is an ancient market town set in an Area of Outstanding Natural Beauty. This lovely historical town is an extremely popular place in which to live and both rental properties and properties for sale in Petersfield are highly sought-after. 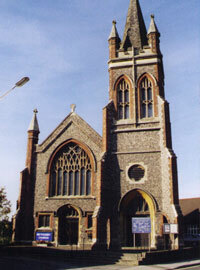 Romsey is a charming, traditional market town. 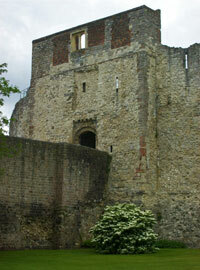 Over 400 years have passed since 1607, when King James I granted Romsey a royal charter of incorporation. This charter created a borough with a mayor, six aldermen and twelve chief burgesses forming a corporation. 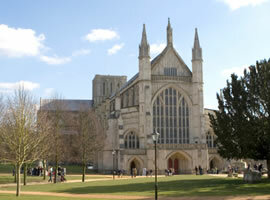 An unspoilt cathedral city on the edge of the South Downs, Winchester is the ancient capital of England. Today Winchester combines the best of city life with beautiful surrounding countryside and close proximity to sailing at the Solent. One hour from London, this is England as it ought to be and residential lettings in Winchester are always in demand.